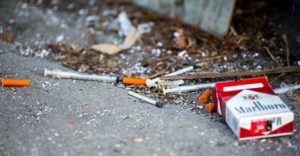 TALLAHASSEE, Fla. – With Florida facing an opioid epidemic, a measure aimed at preventing patients from getting addicted to prescription painkillers and then turning to street drugs such as heroin and fentanyl will take effect Sunday. The bill, in part, will place limits on prescriptions that doctors can write for treatment of acute pain. Doctors in many cases would be limited to writing prescriptions for three-day supplies, though they could prescribe up to seven-day supplies of controlled substances if “medically necessary.” The bill also requires physicians to check with a statewide database before prescribing or dispensing controlled substances. John Wilson is the CEO of DISC Village, a treatment facility for those affected by alcohol and drug abuse. He says the new law will go a long way toward addressing the state’s opioid epidemic, which affects every socioeconomic group in Florida. “I see this as one part of it. There are lots of parts to this epidemic, but this is a critical part in helping get to the bottom of it,” Wilson said. Cancer patients, people who are terminally ill, palliative care patients and those who suffer from major trauma would be exempt from the prescribing limits. The new drug law is one of more than 100 in Florida that will take effect July 1. Heart of Florida United Way has teamed up with the Orange County Heroin Task Force to tackle the opioid crisis head on. There has been a 35% increase in opioid-related deaths in Florida. Even more astounding, fentanyl deaths has seen a spike of 97%. Each year, the opioid crisis continues to worsen as drug-related deaths continue to rise at an alarming rate. That’s why we have launched the Opioid Texting Program. Text “Opioid” to 898-211 to connect with crucial information and resources. 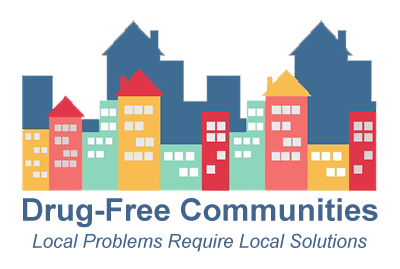 Heart of Florida United Way’s 2-1-1 Information and Assistance Helpline is taking a leading role in addressing the epidemic because of their expertise in community resources and providing help to those who need it most. 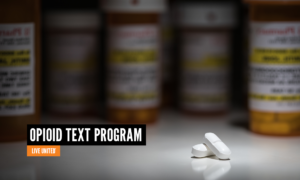 The Opioid Texting Program allows someone to anonymously reach out to get information and resources. Additionally, you can dial 2-1-1 at any time to speak directly with a 2-1-1 Specialist. Beyond sending vital information, the texting program also provides clients with 130 days of on-going support and affirmations as they make strides towards recovery. According to the 2017 American Journal of Preventive Medicine, text message interventions are capable of producing positive change in preventive health behaviors. Preliminary evidence indicates that these effects can be maintained after the intervention stops. Opioids are narcotics that are typically prescribed as painkillers. They can be used to treat chronic pain, to deal with post-surgery pain and other similar uses. However, they can become highly addictive as the body builds a tolerance to the medication. When the brain becomes less responsive to them due to drug tolerance, the user becomes more susceptible to pain. 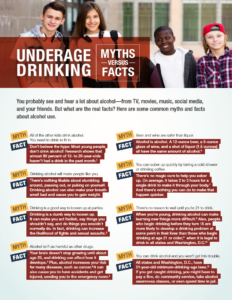 This can then lead to physical dependence, addiction and, potentially, overdose. The epidemic facing our community and country effects men and women of all ages and income levels. What started as a prescribed medication to deal with pain can lead to an addiction that could ruin—or even end—someone’s life. It is destroying families and we are ready to do what we can to put an end to it. In 2016, one in 65 deaths in the United States involved opioids — and among younger adults, that number skyrocketed to one in five, according to a new study. Data has shown for years that deaths involving both prescribed and illicit opioids are rising sharply. They’ve nearly doubled since 2009, and have infiltrated all genders, demographics and geographic areas, according to Centers for Disease Control and Prevention (CDC) data. The new study, published Friday in the journal JAMA Network Open, puts some of those numbers into new perspective. The paper used data from the CDC’s WONDER database, which tracks mortality data and causes of death in the U.S. Researchers first isolated all opioid-related deaths recorded between 2001 and 2016 (335,123 in all), then broke those down by age groups and years. In 2016, opioids were involved in 28,496 deaths, the study says. More than 8,400 of these occurred among adults between the ages of 25 and 34, a number high enough to mean that 20% of all deaths in this age group in 2016 involved opioids. 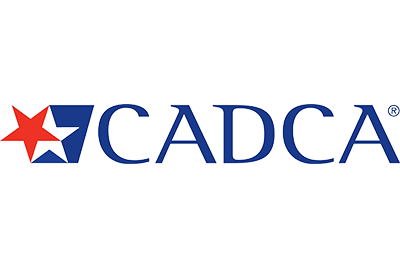 Among those between the ages of 15 and 24, the report adds, the nearly 3,000 opioid-related deaths recorded in 2016 accounted for 12.4% of deaths in this demographic. 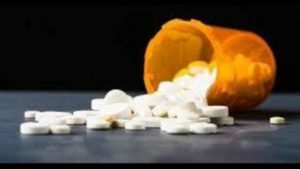 While opioid-related deaths were common among older age groups as well — there were about 6,700 among adults ages 35 and 44, more than 5,600 among adults 45 to 54, more than 3,800 among adults 55 to 64 and around 800 among adults older than 65 — they accounted for a smaller proportion of deaths in these populations. Among the eldest two age groups, however, the percentage of deaths attributable to opioids remained relatively low, but jumped by 745% and 635%, respectively. Still, the study says opioids were involved in 1.5% of all deaths in 2016, regardless of age group. That means, the researchers write, that the drugs were responsible for more life years lost than high blood pressure, HIV/AIDs and pneumonia, and a tenth of those lost to cancer. “Premature death from opioid-related causes imposes an enormous and growing public health burden across the United States,” the researchers write. “These trends highlight a need for tailored programs and policies. 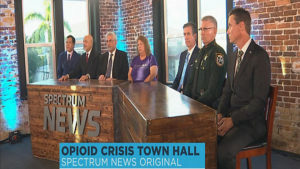 MANATEE COUNTY, Fla. — Spectrum 13 News is taking a unique look at how the opioid crisis and heroin epidemic are affecting the children and families of addicts. “The Opioid Crisis: Raising Heroin’s Children” is an original documentary focusing on the devastating impact heroin is having on Florida’s young people. It features three people affected by addiction: a user, a mother of an addict and a child of an addict. One of the documentary’s subjects, Jessica Denichilo, first started using narcotics prescribed by her doctor. It eventually led her to a point where she was injecting heroin and other opiates into her veins. Eventually, her addiction led to the loss of her children to foster care. The documentary shares harrowing stories of overdoses, jail time, broken families and in some cases, recovery and redemption. After the documentary aired, a group of doctors, counselors, government leaders and law enforcement officers took part in a Town Hall-style discussion to continue the conversation. Panelists said it’s important for communities to work together to find solutions. “I mean, if this helps one addict, gives one person the opportunity to live, then it was all worth it,” she said. The documentary and town hall will re-air Saturday and Monday nights at 7 p.m. This is an annual health observance dedicated to increasing the prevention of substance use and promotion of mental health. 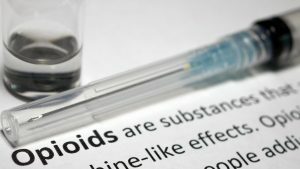 TALLAHASSEE, Fla. – The Florida House’s version of legislation to combat the state’s opioid epidemic is headed to the floor. The bill, which passed the Health & Human Services Committee on Wednesday, would impose new restrictions on prescriptions. Most initial prescriptions would have a limit of three days but doctors can prescribe up to seven days for acute pain exceptions. The proposal doesn’t cover cases of chronic pain or cancer. It would also require all health care professionals to participate in a statewide database that monitors prescriptions. During the committee meeting, Rep. Jim Boyd told lawmakers the measure has undergone some changes after consultation with the Senate and Gov. Rick Scott’s office. A Senate version has passed all its committees but Sen. Lizbeth Benacquisto said the bill remains a work in progress. Central Florida has had its share of problems with opioid use. On the streets of Osceola County, the grip of opioid addiction is strong. Osceola County was the first in the state to move forward with a lawsuit against 21 pharmaceutical companies. In the lawsuit, the county claims the opioid crisis is costing taxpayers money. In Ocala, police said they are fighting the growing heroin and opioid epidemic by creating an amnesty program that could help save lives. There have been 22 overdoses and seven deaths since the year began, police said. Law enforcement agencies have used the drug Narcan to save lives. 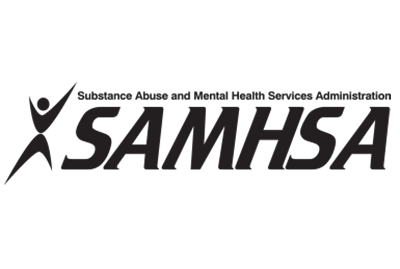 Narcan reverses an overdose of opioid, including heroin and pain medications such as morphine, oxycodone and hydrocodone.